Overview: These free and paid tools allow you to track where your websites rank in the search results for important keywords, and track those trends versus competing sites and/or against your own marketing efforts to better understand the effectiveness of your marketing. Almost none of these tools use the Google API, as Google rendered their API useless. Rank Checker - our free and fast Firefox extension which you can use to track your rankings over time in both Google & Bing. It also includes a scheduling feature for automatically tracking ranks daily or at any periodicty you choose. Currently many of our free SEO extensions do not work on the most recent version of Firefox, but still do on Comodo IceDragon. If you run many search queries from your computer you can get blocked by Google, so it makes sense to instal a virtual private network (VPN) app which you turn on before running bulk rank checks. SERPTrends - offers rank tracking extensions for Mozilla Firefox & Google Chrome. SERPOSCOPE - free & open-source Java-based self-hosted Google rank tracking service you can use on your desktop computer. It allows you to set a country or city, offers historical charts, has built in CATCHA breaking features that plug into services like DeathByCaptcha & allows you to use web proxies like Trusted Proxies. Most commercial SAAS rank checking tools tend to start around $49 per month. SERPOSCOPE being free is great for the price. Buying a subscription to a service like Trusted Proxies can cost about $25 per month. Another option is to leverage a VPN which you have turned on during the rank checking period & scale up the setting for the time delay between queries. The difference between self-hosted & using a SAAS platform is not just price though, it is also that you are keeping your data to yourself. Thus if your favorite rank tracking app ever gets hacked you won't have your name & credit card connected to your list of websites floating around the web. Most rank checkers have moved to the cloud, but on the paid front there are still a few other desktop software programs like Rankaware & Link Assistant's RankTracker. Once again, it is worth reiterating SERPOSCOPE is great for free! RankTank - rank checker which works inside Google Sheets. Advanced Web Ranking - cloud-based tool. In the past they also offered a desktop version, but sunset it as cloud-based subscription revenues are far more profitable & require less customer support expenses than distributed desktop licensing sales. Authority Labs - a web-based rank tracking tool. SERPs.com - a web-based ranking tool similar to Authority Labs. Wincher - free weekly or paid daily Google rank checking. Numerous popular competitive research tools also include a rank tracking feature as part of their services. This zip file can be unzipped and installed on any web server which is PHP enabled. It includes a basic rank checker, an advanced rank cheker, a multi-keyword rank checker, a multi-domain rank checker, and a few other goodies. As Google updates their search results it may break these files...but fixing them should only take a couple minutes for a freelance PHP programmer. Our self-hosted script has been discontinued. These tools track search results daily for thousands of keywords to track how much the search results have changed over the past day & how that change has compared against previous periods, making them helpful for determining if traffic shifts might be related to broader algorithmic changes, rather than something tied specifically to your site or web analytics implementation. Mozcast - one of the more popular flux monitor tools. Contains metrics for SERP diversity and domain name related measurements. They also show some of the current layout shifts being tested here. AdvancedWebRanking - overlay launched in 2014. offers US, UK & DE information. They also offer a CTR curve. Google Webmaster Central - allows you to sign up for Google Sitemaps, shows some crawling errors, and a more complete view of your backlinks. 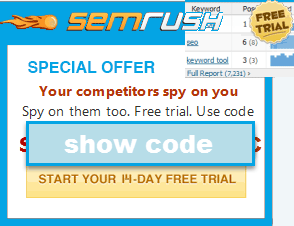 Also shows keywords you rank well for and keywords that send you the most traffic. Bing Webmaster Tools - similar to Google's offering, but it also allows you to pull link data from competing websites. competitive research tools - these tools will show you keywords sending traffic to competing websites. many of these also have keyword rank tracking features baked in. Know Any Other Tools Worth Suggesting?